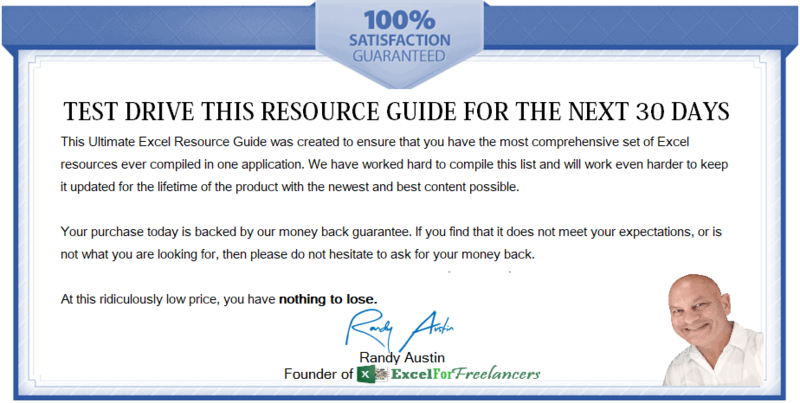 This Microsoft Excel-based resource guide is the most comprehensive collection of Excel resources, links & downloads ever assembled together in one place. With A 10 Tab Design, Single Click Sorting and an Intuitive Filter Feature, you will quickly be able to drill down on the exact resource you want in just seconds. With 1,000 Live Links, and a single click-to-update application, you will always have the most current and up-to-date information at your fingertips. 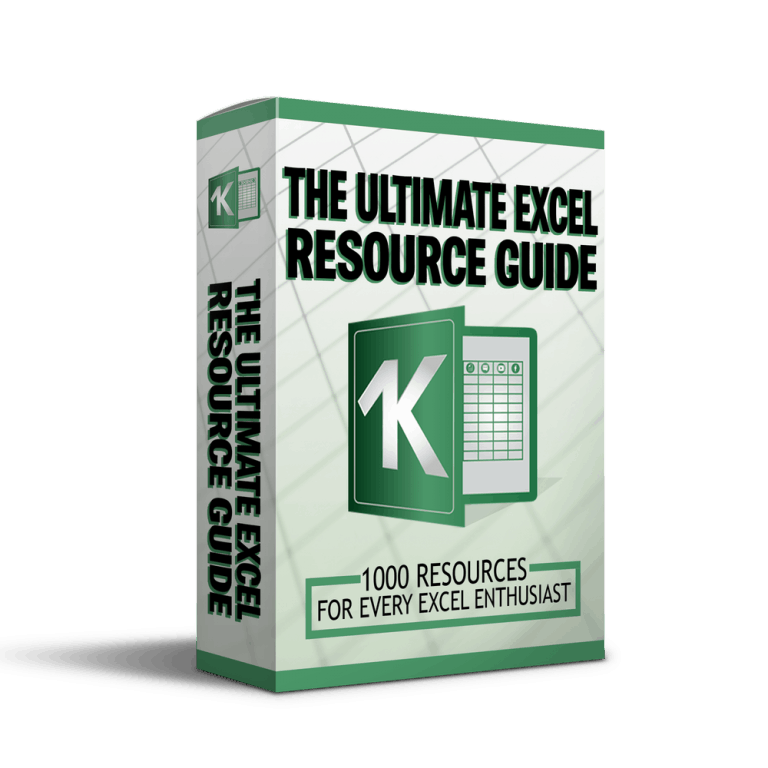 Click the link above and enjoy the amazing benefits of the Ultimate Excel Resource Guide today. One of the best ways to become an expert in any field is through an online course. You now have the top 100 Excel Courses just one click away. Sometimes we run into projects that require skills beyond our own or we are looking for intensive training. and that is where our list of Experts & Consultants come in. Totaling a MASSIVE 6500 pages, the 100 PDF Downloads ensures you will never run out of learning materials. everything's where you left it.